How do I find the 'Help' section? 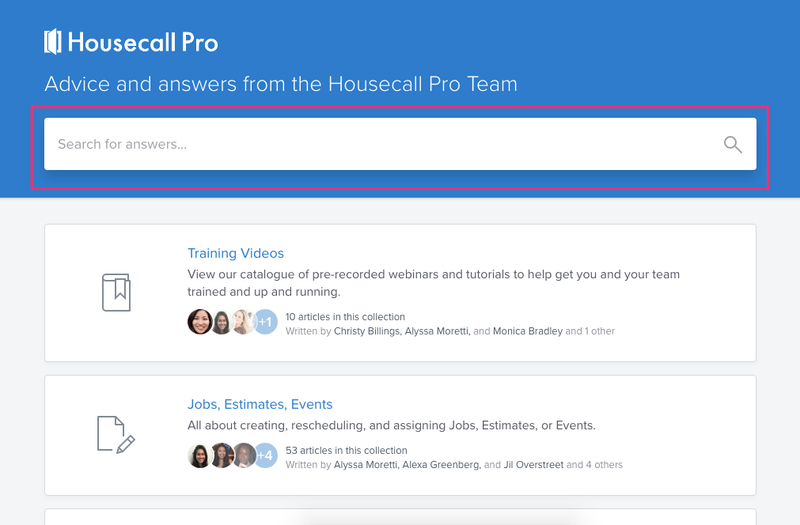 Hundreds of articles and videos are at your disposal to assist you in using Housecall Pro around the clock. To get to the 'Help' section, click on the stack of three lines in the top left of your screen. You can click this button from any page in the account. A panel will appear along the left hand side of the page with your name, business name and profile picture at the top. Click the '?' 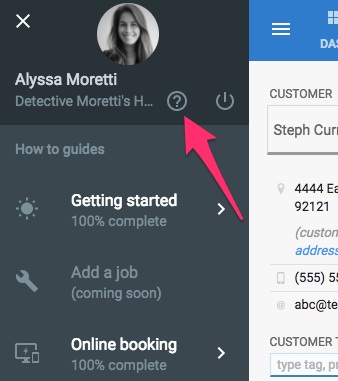 button directly to the right of your business name. This will bring you to the help desk where you can type your question into the search bar along the top. You can also scroll through our different topics to find the best articles to answer your questions. If you're not finding what you're looking for, chat in through the question mark button in the bottom right of your account to let us know! We'll working quickly to get it created for you.